Hey everyone back today to https://joedichiara.wordpress.com with the first completed piece from the new series I announced last week. This is the finish for the first “beef” in the series of “Hip-Hop Beefs” featuring the infamous war on wax between Queens rappers 50 Cent & Ja Rule. 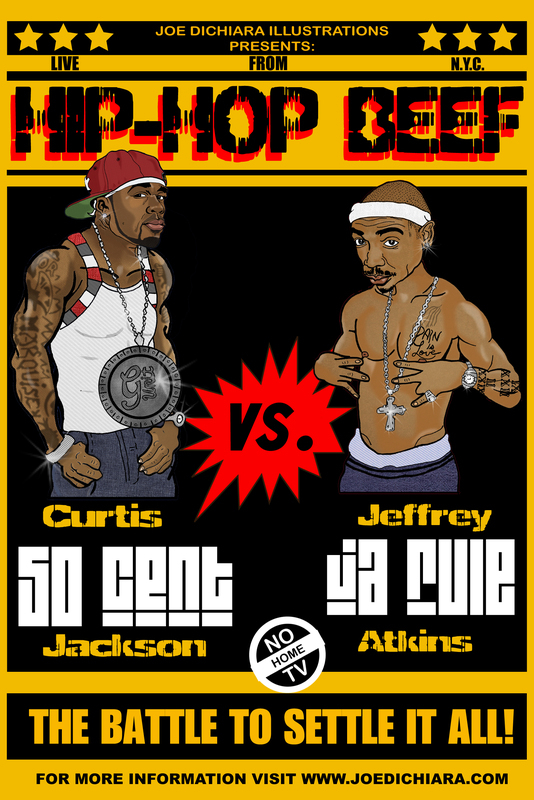 The next two installments of this series will feature “Nas vs. Jay-Z” and the king of all rap battles “2Pac vs. Biggie”. So be sure to check back this week for all the latest “beef” and be sure to log onto http://www.joedichiara.com for additional art!